I have seen people talking about what EA CFO Blake Jorgensen said back in November about a "pink Darth Vader", and many of them suggest that now we will get things like that and whatever else their imagination conjures up. 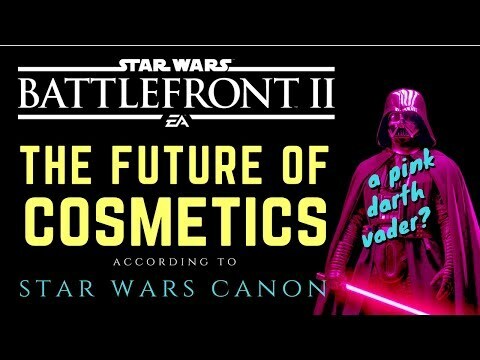 But the ultimate determining factor for cosmetics is how the characters appear in canon. So here I'm taking a look back at what Jorgensen actually said, and what it actually means. Now. Tell me why I'm wrong. Yeah, I completely agree with you. I want more skins, obviously, but I don't really want a Pink Vader as a full time skin. An April Fool's thing, yeah, sure, but not as a regular skin. I also get what you mean about the universal 'you' (youniversal?) in the example. Nice, dude. Seriously. 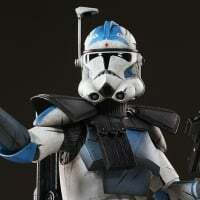 I would like to see Old Man Luke Skywalker, a Sullustan for my assault trooper, one of those new snowtroopers and a shoretrooper for all classes with different variations for the class like what you said in the video. I agree with what you are saying. Also, on a side not, could you tell me what cards you were using for Han, Leia, and Rey? They can invent new skins on characters as long as they make sense. 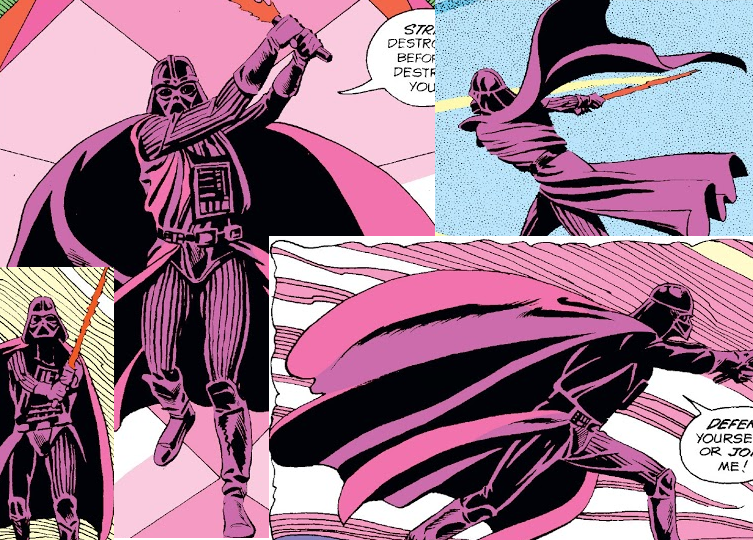 Pink Vader doesn't make sense. 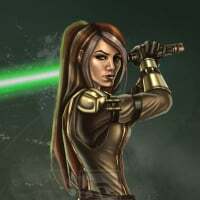 You can give Rey hood, change her hair, add stuffs that are not in any of the movies and it wouldn't ''break" Canon because it's an outfit that would make sense. Nice video. I agree about infantry customization. 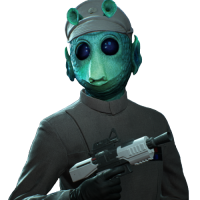 The Rebels and Resistance really cobbled together anything and everything, but still somehow made it look like a viable uniform based on the requirements of the terrain they would be fighting in. Differdnt jackets, pants, backpacks, pouches, and helmets would be a great thing to see, although some level of uniformity would still have to be present. It would be interesting as a one-time gag or something. Maybe it will be a thing for Valentine's Day or Breast Cancer Awareness or something. Thanks! I think there are so many variations that are possible, and I'd love to see all of the above. I do think, though, that Old Man Luke would have to be a different hero than the current one, and not just a skin. Just as Old Ben would have to be different from Young Obi-Wan. But give me ALL the Stormtrooper and Clone trooper variants! For Han Solo I typically am using Heavily Modified Blaster/Air Burst/Sharpshooter's Calm. The Leia and Rey gameplay was from Arcade because it was getting late and I just wanted to show the new skins in action. 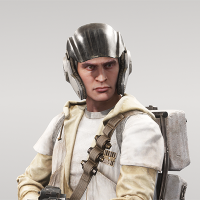 I don't often use Leia in Multiplayer, but when I do, I use High Spirit/Rebel Heart/Relentless Firing in HvV, and in GA I would use High Spirit/Blinding Reveal/For the Rebellion. For Rey in HvV Strong Mind/Deep Mind/Damaging Strike, and in GA Survivor/Focused Sight/Far Sight. I want the different suits that Vader has in the movies though. There are like 4 or 5 of them. The RotS one is pretty cool, but I personally like the one from the RotJ, it is probably my favorite. Though it is kind of like a Chewie's Bandage type deal, where no one will really ask for it. That fits in a gray area, and I considered it, but I'm not willing to go out on a limb and say they will or won't. I'd totally be all for it, but it certainly would get more scrutiny from Lucasfilm before they let it happen. Thank you! I definitely believe some major items could be switched out without having to do too much with the models. I think some smaller customizations might tax their resources too much with detail, or time spent to make them. I've thought about that too, but the variations are so small I don't think they'd take the time to make them. I was just suggesting it, in case they ever want to give Vader any customization options. 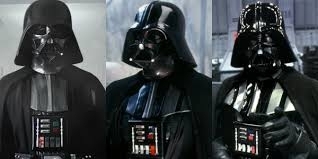 Damaged Vader would be nice, by in am thinking in terms of what has actually appeared in the movies. See there are a few differences that might do the trick. They’re all close enough that I don’t think it’s worth the skins. 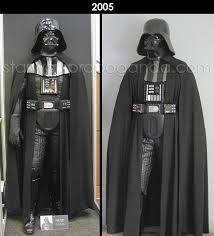 Vader will probably just be Rebels damaged Vader and hooded Anakin Vader with yellow eyes. Where there's a whistie there's a way? Anakin skin for Vader doesn't make sense because Vader is a tank due to his siZe and armor. Anakin is unburdened by the armor and is faster. I hope we get anakin and I'd like the hood and yellow eyes as a skin. I'd really like a skin with a mechanical arm, too.